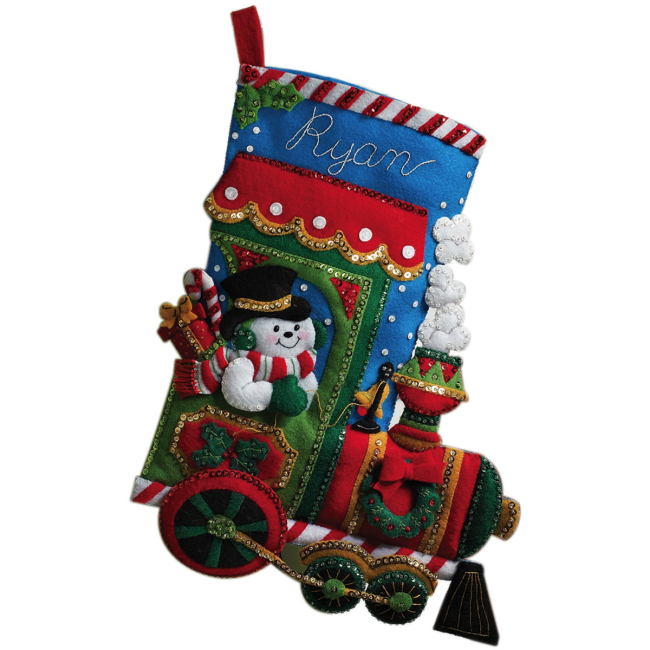 The Candy Express Felt Christmas Stocking Kit is a creative train-themed felt stocking kit from Bucilla. This Christmas stocking kit includes stamped felts, cotton embroidery floss, sequins, beads, needles, instructions, and directions for personalization. Stocking size is approx. 18" diagonal. Handmade felt Christmas stockings last throughout the years, becoming cherished family keepsakes. Make this personalized felt applique stocking for a loved one to enjoy every holiday season!